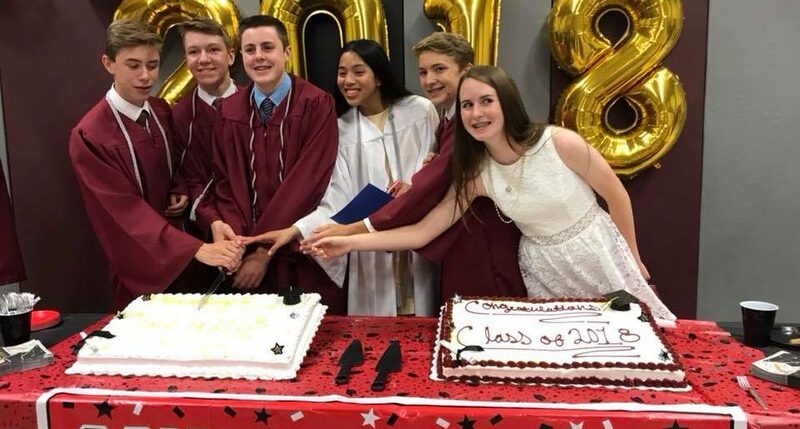 Congratulations to the Class of 2018-our newest SJPII alumni! Over $50,000 was awared in scholarships and awards to this successful group of students! Did you attend St. John Paul II Regional School or one of our founding schools? Founding schools include: Our Lady of Grace, Holy Rosary, St. Edwards, St. Gregory, St. Lawrence and St. Luke. If so, we want to hear from you. We love to share alumni news with our community on social media and in print. Email alumni@jp2rs.org today. Thank you to all our alumni who participated in our 4th Annual 5K Alumni Run/Walk this year! Alumni, students, parents, faculty and friends join together for a fun morning supporting our school. This event brings our community together while raising funds for our athletic programs. To be added to our mailing list and share your alumni news, email the following information to alumni@jp2rs.org. Name and Maiden Name Address, Telephone, Email Graduating School and Year Please feel free to include a favorite school memory! Many alumni show support by giving to our Annual Fund, which supports classroom, program and campus needs and our Scholarship Fund supporting students with tuition assistance. Your support makes a difference and directly impacts Saint John Paul II Regional School students. Please consider a gift today. 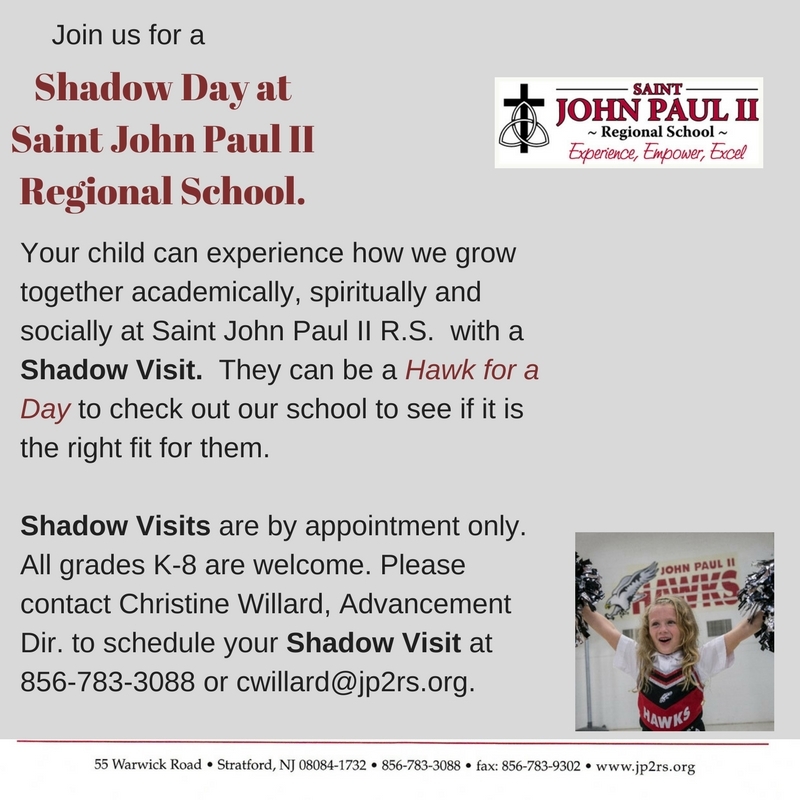 If you are interested in organizing an alumni event, please contact Christine Willard, Advancement Director at cwillard@jp2rs.org or 856-783-3088.